The trees surrounding your home can provide shade, add beauty, and often have sentimental value. So what do you do when your tree is being damaged by insects? 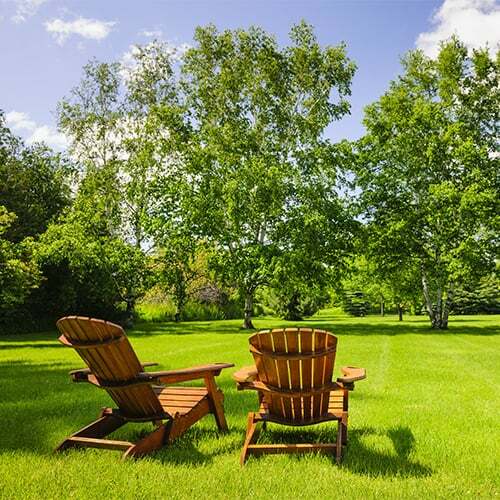 Lawn Masters provides tree injection treatments to heal your trees and keep them safe from future infestations. 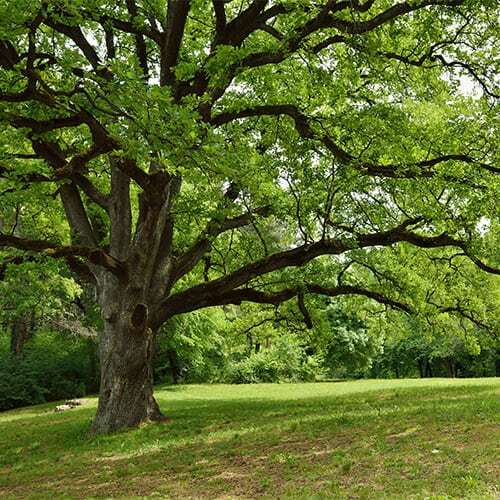 If you notice signs of damage to your tree, such as limbs not growing any leaves or the bark falling off, call Lawn Masters for a free evaluation. We will first inspect the tree (or trees) and determine if we will be able to save it. After we have decided on the best treatment option, we will perform the injection. The injection process works in a similar way to how humans get a shot. We have a specialized tool that pulls a small core of bark out of the tree. We will pull out these cores around the whole base of the tree about one or two feet up from the ground. Once the cores are removed, we will replace them with a stopper. Once the stopper is in place, we will inject the chemical into the tree through the stopper. This helps ensure that the “medicine” is able to go through the whole tree from root to leaf. We will also give the tree a fertilizer treatment to help it recover more quickly from the damage. Each type of tree gets specialized injections and fertilizer. One of the most common problems we handle is borer worms. There are many types of borer worms that have infested southern Indiana, including the aggressively spreading emerald ash borer. These nasty worms and insects will tunnel into trees, and prevent the tree from getting water and other vital nutrients. For the tree, it’s like trying to drink out of a straw with several holes in it. These borer worms most commonly affect dogwood, cherry, maple, birch, and ash trees. Another common issue we treat is oak gall. Certain types of wasps lay their eggs on oak tree branches and shoot an insect hormone into the tree, making an oak gall grow over the eggs. Over time, these oak galls cut off circulation of nutrients to the tree’s limbs and cause the oak tree to die. 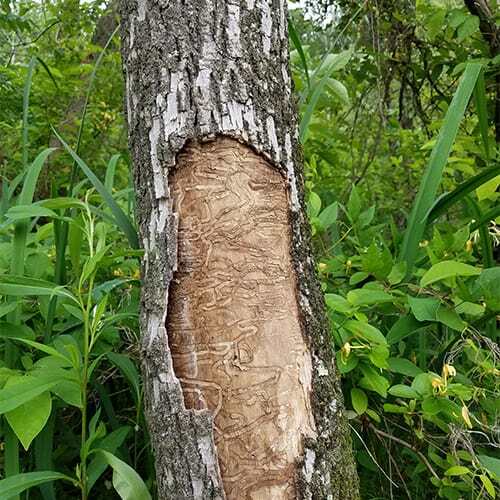 We also provide treatments for crabapple and other apple trees that are affected by apple scab, which causes the trees to lose many leaves, even during the summertime. This is hard on the tree and can cause it to decline and die out. The injections last for 12 months, and we recommend that you get them done yearly to prevent the disease from returning. Ideally, we will give the injection in the early spring, around April or May. In many cases, these insects can spread quickly from tree to tree. If you have a lot of trees on your property, we can offer a “group” discount and treat them all in one day. We also offer an Easy Pay plan with monthly payments if you are treating multiple trees. If you see signs of disease in your trees, don’t wait until it’s too late to save them. Give Lawn Masters a call today and set up a free evaluation!